This frictionless, interconnected infrastructure would serve a market of two billion people. Operated on an ’open-access, common-carrier’ basis, this infrastructure would increase regional energy supply security, increase energy market innovation and reduce geopolitical tension. Coupled with energy Joint Development Areas in the South China Sea and East China Sea, as well as multilateral military efforts to ensure security, a Pan-Asian Energy Infrastructure would create a regional fabric of cooperation that could last a century or more. Grenatec produces peer-reviewed academic research as well as providing commentary and analysis for the trade and general press. 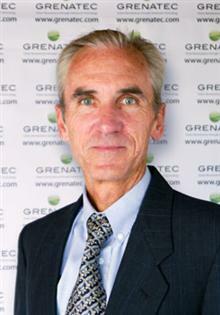 Grenatec was founded by by Stewart Taggart, a former financial journalist.